Any change to the four-hour emergency department (ED) waiting time target must be based on hard evidence and not be politically motivated, the RCN has warned. 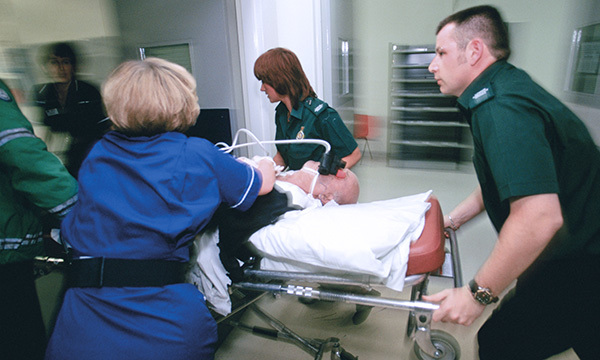 The target, introduced in 2004, requires NHS trusts in England to ensure that 95% of emergency patients are admitted, transferred or discharged within four hours. There has been speculation over whether the target will be scrapped amid a review of clinical standards being led by NHS England medical director Stephen Powis. EDs in England have not met the target since July 2015. Speaking on LBC radio yesterday, health and social care secretary Matt Hancock said some clinicians believe the measure skews medical decisions and fails to consider that some patients need more urgent care than others. He said a decision had not been made on whether the target will be scrapped, but added that he would listen to concerns and is open to considering alternatives. ‘If you have somebody with a problem that is serious and needs dealing with, but isn’t life-threatening, and they have been in A&E for three-and-three-quarter hours, and then an ambulance comes in with a very serious patient, then the target doesn’t really measure what’s the right thing to do clinically at that point,’ Mr Hancock told LBC presenter Nick Ferrari. RCN acting general secretary Dame Donna Kinnair said nobody wanted to return to a time when patient waiting times were ‘unacceptably long’, but warned that targets could only be met if sufficient numbers of staff were in place. ‘Any changes to well-established targets must never be politically motivated and should only ever be carried out based on hard evidence, with patient safety placed front and centre,’ she added. Mr Hancock said he has yet to see a paper or proposal from NHS England regarding any change to the target. The review is expected to report shortly.